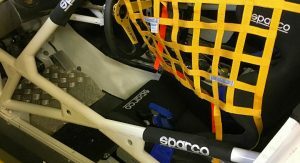 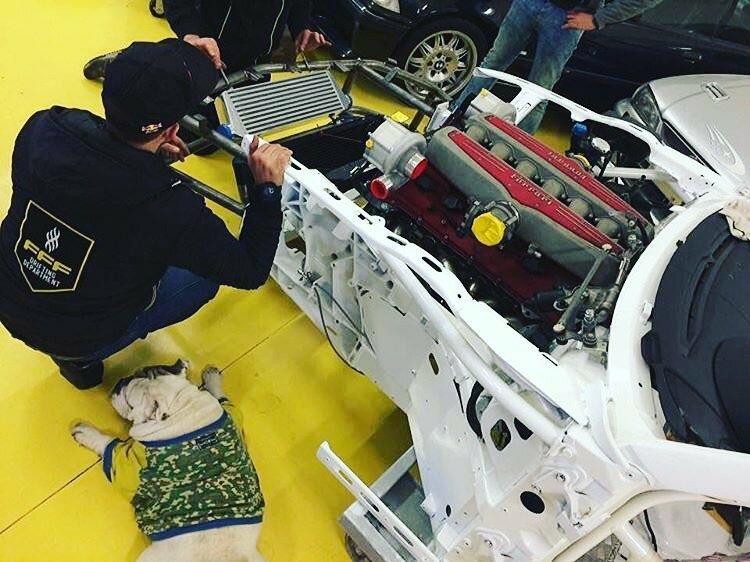 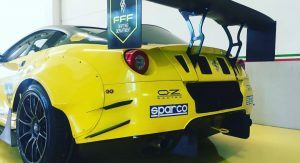 If you’re a Formula Drift fan, then you already know that Federico Sceriffo has a serious ride for this season. 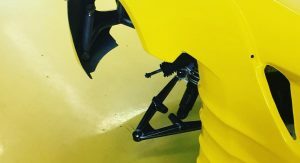 But have you seen it in action? 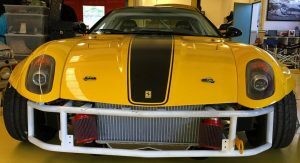 Sceriffo’s Ferrari had undergone massive work in order to be transformed into a real drifter. 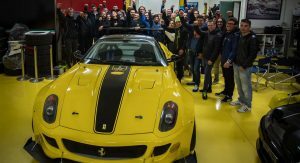 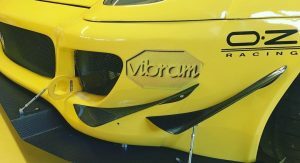 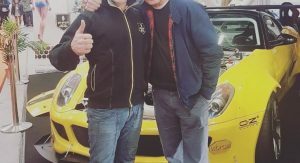 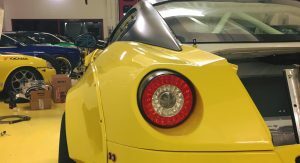 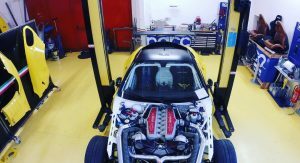 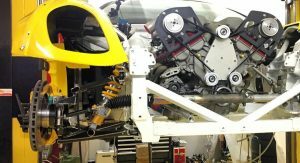 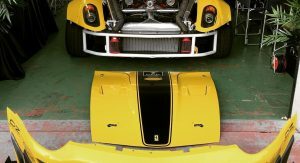 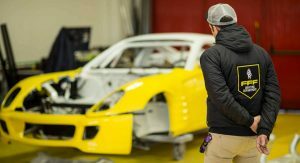 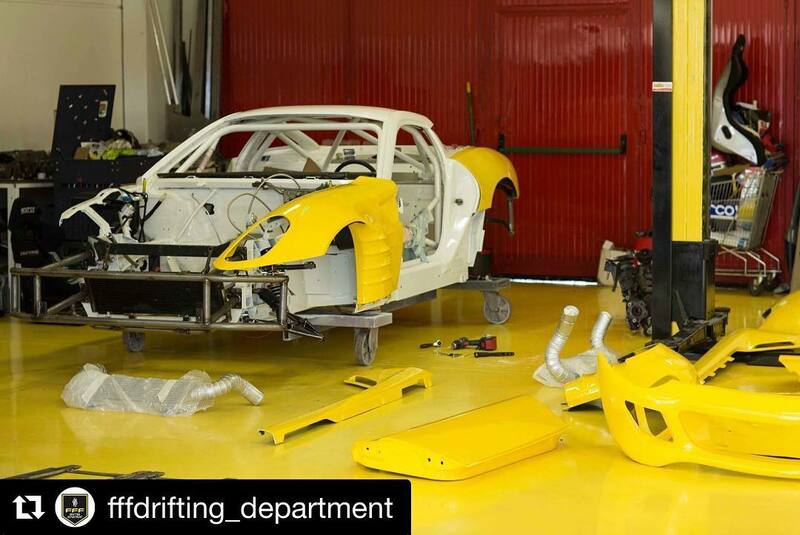 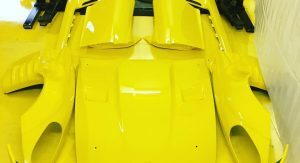 And in addition to getting a roll cage, a giant wing at the rear and other parts, it was also finished in a new yellow shade, as the original car was red. 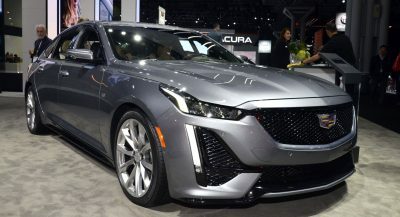 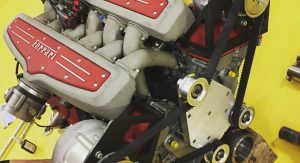 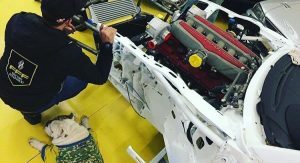 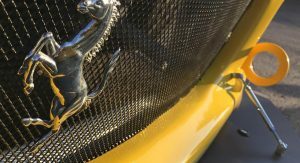 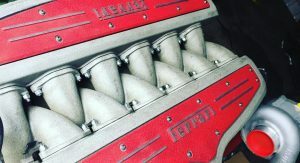 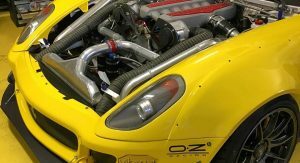 Nevertheless, the most important upgrade lies in the engine compartment, where the naturally aspirated 6.0-liter V12 unit is now fed by a pair of turbochargers. 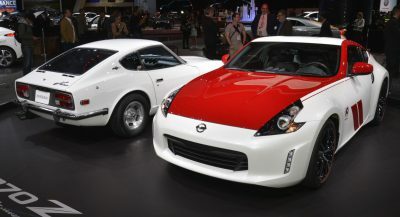 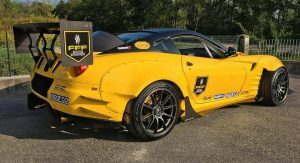 The result is a massive 800 horsepower and 1,000Nm (738lb-ft) of torque, or about 200hp and 400Nm (295lb-ft) more than the stock model. 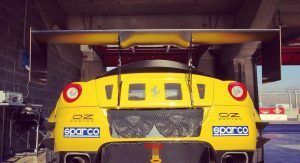 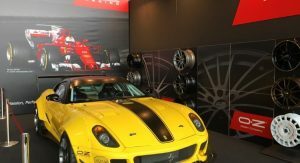 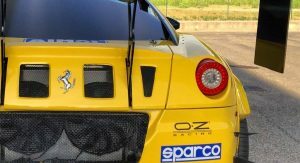 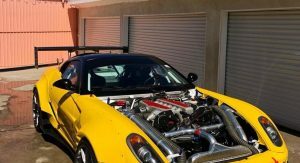 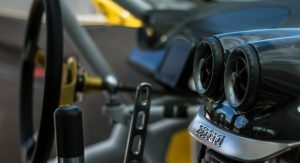 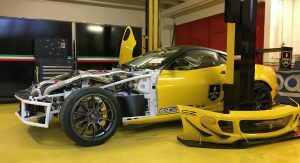 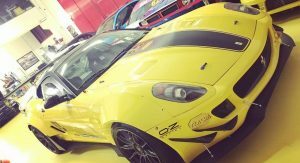 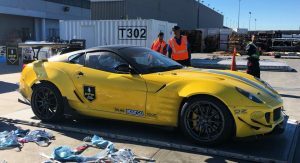 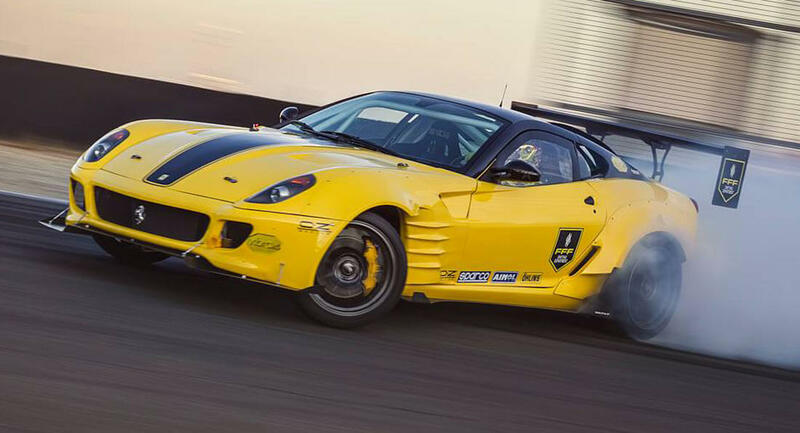 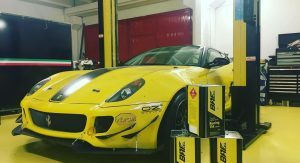 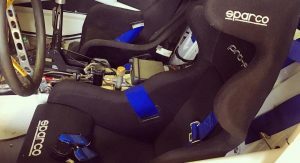 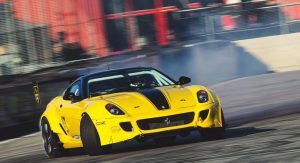 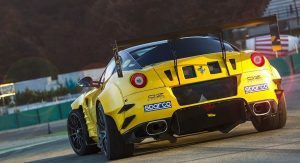 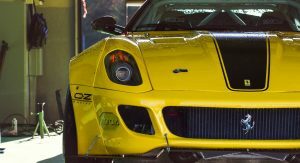 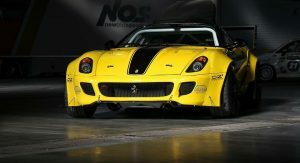 Unleashed at the first round of Formula Drift a few days ago at Long Beach, California, this Ferrari 599 is unlike anything you’ve ever seen before. 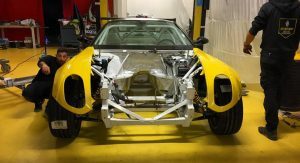 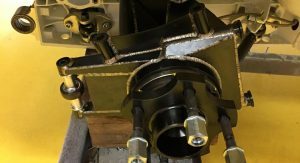 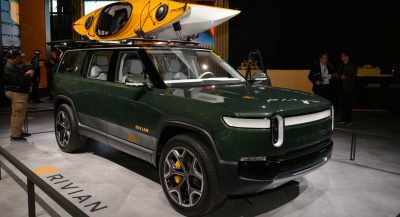 The massive output channeled to the rear axle and clever engineering that went into it have made it a tire-shredding machine. 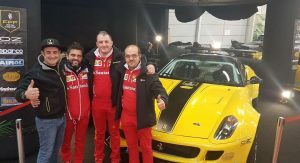 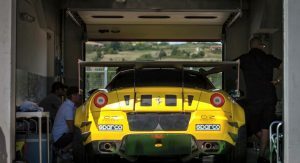 In the hands of the Italian driver, it put on a show for the crowd, before heading into the hangar for some checkups and engine tuning. 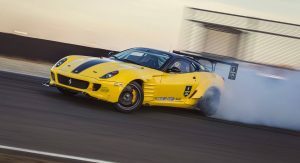 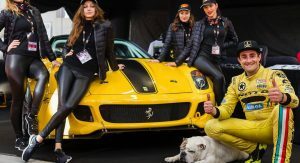 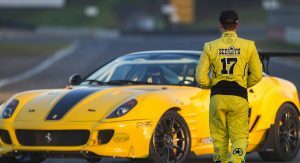 This 599 isn’t the only impressive drifter, as Youichi Imamura had a Lexus LFA, Daigo Saito has a Lamborghini Murcielago, and Ryan Tuerck drove a Ferrari 458-powered Toyota 86. 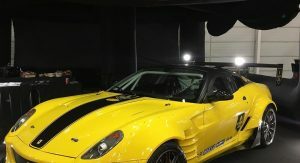 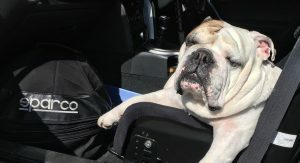 This is probably a blast to drive!!! 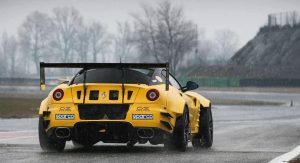 I love it, but those Ferrari V12 must be quite troublesome to tune! 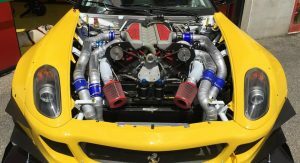 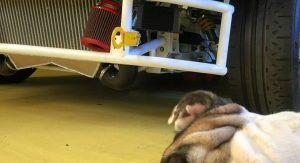 Since my last comment needed approval and looks to have not been, this car has dual superchargers (you can see they are belt driven centrifugal superchargers in the photos). 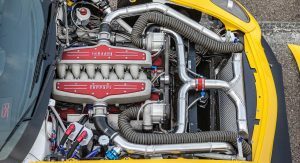 The car is not twin turbo. 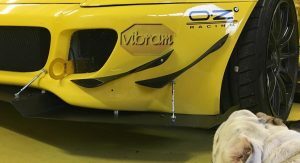 Article might need to be corrected.